The city I live in: Welcome to fabulous Las Vegas. Late night art. – Go ask Alisa – DIY capsule wardrobe one stitch at a time! 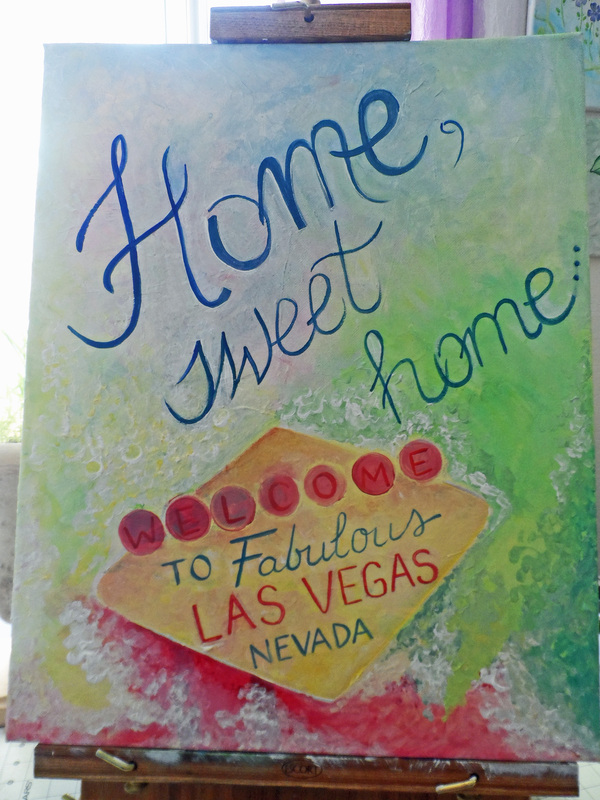 The city I live in: Welcome to fabulous Las Vegas. Late night art. 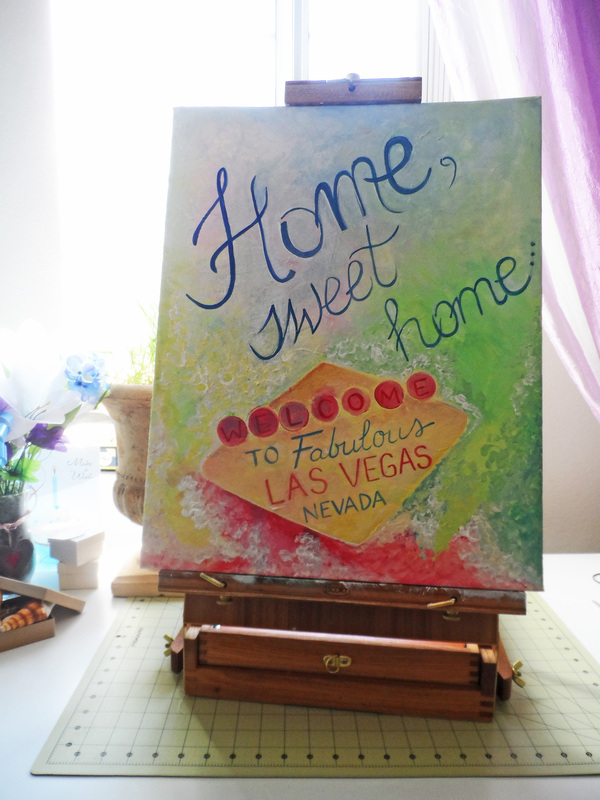 Jumping from constructive sewing back into the colorful world of art and paint! I was working on this one all night yesterday and added finishing touches this morning. 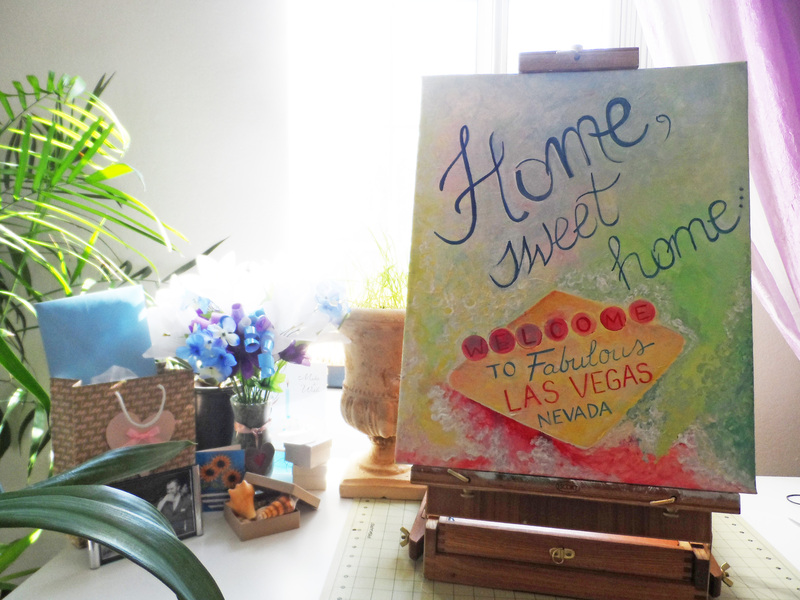 Flirtatious, yet thoughtful and quite simple poster-style canvas “Home, sweet home”. I don’t know what it is about me, but I found myself to like poster-style art more than fine art. Especially when we speak of living space designs, I do believe it has something to do with this heavy and bulky, often philosophical “weight” of fine art. Don’t get me wrong, I do enjoy fine art quite a lot, but my living space I would like to keep flowing airy. No sophistication, I was simply inspired by the city I live in and all vivid spring colors it has to offer! Enjoy! This canvas found its place by the entrance door in our house. Hey, I’m going to Vegas for the first time. Any must-do’s or must-see’s? Hope Las Vegas is good for you. Such a contrast to Manchester. For some cooling Manchester Mizzle, click on the link. Next Next post: Useful habits. Wednesday write-in.